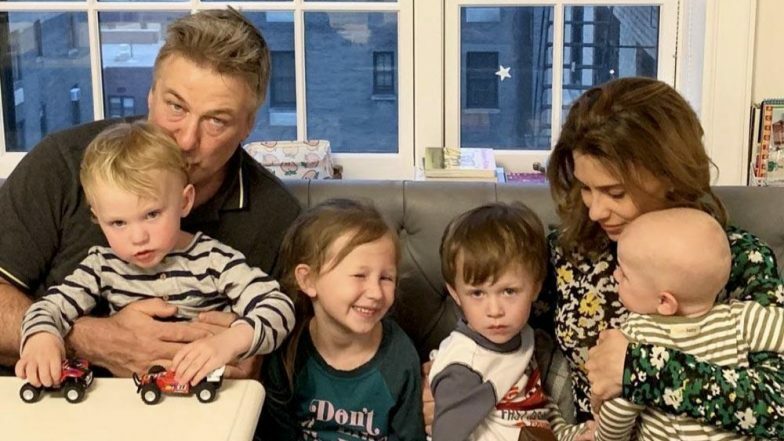 Hilaria Baldwin took to Instagram to share how loved she feels for the support she is receiving over the news of her miscarriage. The 35-year-old yogi shared on Instagram, "There was no heartbeat today at my scan...so it’s over...but I have some pretty strong and amazing heartbeats right here. I am surrounded by such love and I feel so fortunate. Thank you all for listening, for your support, and for sharing your own personal stories. We are stronger together...I hope this conversation continues to grow and that we stick together through both the beautiful and challenging moments in life. Much love and appreciation to all of you." Just a few days ago, Baldwin took to Instagram to speak about her pregnancy struggles as she believed that she was experiencing a miscarriage. At that time, it wasn't confirmed but she did state that she might be suffering from one. Her post stated, "I want to share with you that I am most likely experiencing a miscarriage. I always promised myself that if I were to get pregnant again, I would share the news with you guys pretty early, even if that means suffering a public loss." Further adding how transparent she has been about her life, Hilaria said, "I have always been so open with you all about my family, fitness, pregnancies...and I don’t want to keep this from you, just because it isn’t as positive and shiny as the rest. I think it’s important to show the truth...because my job is to help people by being real and open." Her lengthy post further spoke about how she didn't feel any shame or embarrassment in revealing her experience of miscarriage by saying, "Furthermore, I have no shame or embarrassment with this experience. I want to be a part of the effort to normalize miscarriage and remove the stigma from it. There is so much secrecy during the first trimester. This works for some, but I personally find it to be exhausting. I’m nauseous, tired, my body is changing. And I have to pretend that everything is just fine—and it truly isn’t. I don’t want to have to pretend anymore. I hope you understand." We just hope that Hilaria and Alec are able to get through these tough times.